Ælfflæd (fl. 840), was the daughter of Ceolwulf I of Mercia, and later married Wigmund of Mercia. Their son, Wigstan of Mercia, inherited the throne in 840 but, declining the kingship, appointed his mother as regent. She was deposed from this position by Beorhtwulf of Mercia. 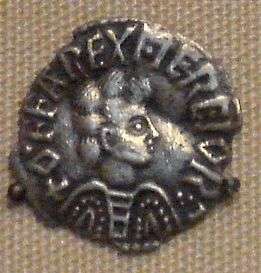 Ælfflæd should not be confused with her earlier Mercian namesake, Ælfflæd, the daughter of Offa of Mercia.